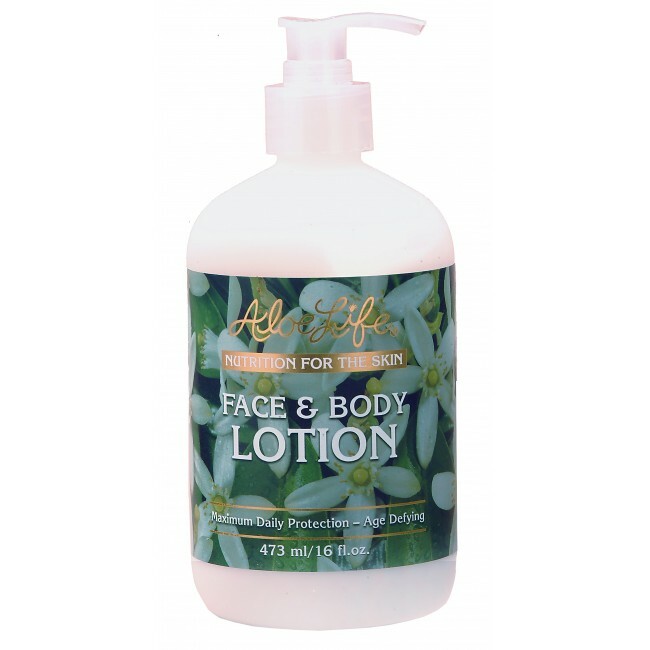 Aloelife Face and Body Lotion is the most pleasant and wonderful food and nourishment for your skin...and your Soul! It absorbs so quickly, and there is no unpleasant residue as the ingredients all work in sync to effect the non-greasy softer/healthier look. As an added effect, I feel a calming and centering feeling...which I attribute to the whole leaf aloe vera which is the main ingredient and leads the pack into the full absorbtion. Life would not be the same with out it! This is the first lotion I have found that I can use on my face and it doesn't make me break out, it's light, it absorbs very quickly and doesn't make me feel greasy. I use it all over and it is amazing!